Oops I overlooked at this dish, which was in my draft for a week already! 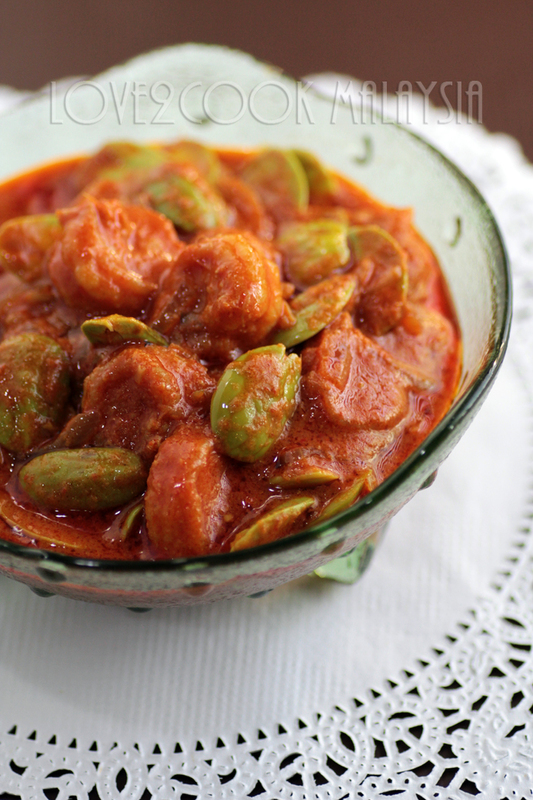 Petai or the Bitter Bean, commonly served in anchovy or prawn sambal is my family's favourite. Although I prefer petai with anchovies combo, I had to use prawn this time as my son craved for it all the time! As I don't eat prawn, the sambal and petai enough for me! The peculiar smell of petai is not my daughter, Ashika's favourite...lol. Alternatively, you can also use my Anchovies Sambal recipe and add petai. Just skip petai in this recipe if you don't eat them! Add 1 tsp salt to cleaned prawn, mix and leave aside for 5 minutes. Heat oil in a large wok, deep fry the prawn for few seconds. Separate on another plate. Use same oil, saute blended ingredients over medium heat for 15 minutes. The longer you saute, the better the taste. Stir until you can see the oil separate from the gravy. Now add the sliced onion and stir for few minutes. Add water, coconut milk, tamarind slices and salt. Mix evenly and let the gravy to boil a few times. Add the fried prawn and petai. Mix and cook another 5 minutes. Check for seasoning. Yummeh! I love this with just plain white rice. It is very appetizing. 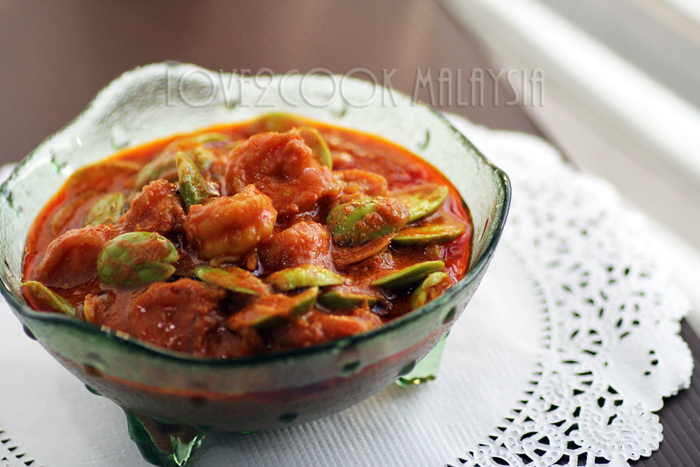 Love this beautiful and spicy sambal dish. I can eat more rice with it! i luv sambal petai..but last time i makan i got sakit perut + diarea...so serik to eat petai 4 the time being! 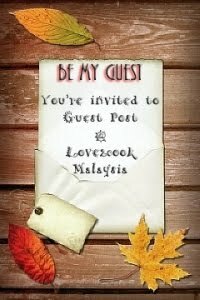 Love..lama sue tak mkn ni tau. makan dgn nasi panas..fuhhh mesti menambah2 ni. Being an angmoh I haven't tried petai before so today I picked some up in the supermarket. I now know why they are also called stinky beans! I'm going to try them out with a recipe like this soon! Thanks for the info.